According to The Sydney Morning Herald, Australian regulators are taking legal actions to address Apple’s “misleading” advertisements regarding the iPad 3. Australian Competition and Consumer Commission (ACCC) announced that in this case it will pursue fines, injunctions and compensation to users who were misled. 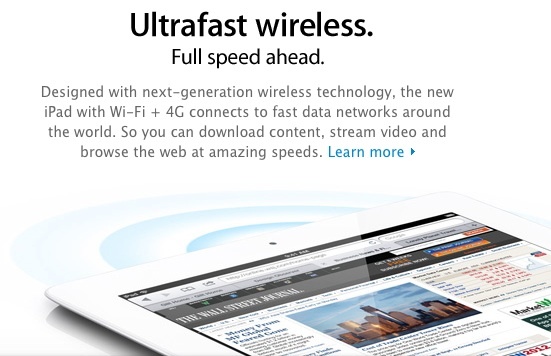 The issue was caused by Apple’s use of "4G" in its advertising campaign for the cellular-capable models of the iPad 3, while compatibility with 4G LTE is only offered in Canada and U.S. due to different frequency bands used for LTE networks in different countries. 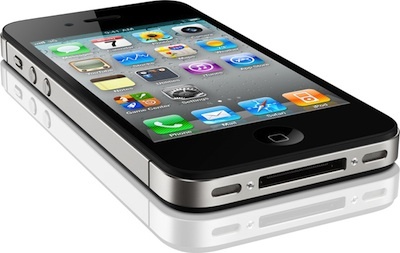 iMore reports, citing its sources, that the next iPhone is expected to arrive this fall. The sources claim the new model will include support for 4G LTE and contrary to the rumors about 4-inch screen, it will include the same 3,5-inch display or very close to it. Since the release of iPad 3, President of DisplayMate Raymond Soneira has been testing all aspects of its Retina display. He published a lengthy report providing comparison of the new iPad’s Retina display with iPhone 4 and iPad 2’s displays. Apple is launching the new iPad in 25 more countries tomorrow. The company's third generation tablet will be available starting at 8:00 a.m. local time on Friday, March 23 through the Apple Online Store (www.apple.com), Apple's retail stores and select Apple Authorized Resellers, in Austria, Belgium, Bulgaria, Czech Republic, Denmark, Finland, Greece, Hungary, Iceland, Ireland, Italy, Liechtenstein, Luxembourg, Macau, Mexico, The Netherlands, New Zealand, Norway, Poland, Portugal, Romania, Slovakia, Slovenia, Spain and Sweden. 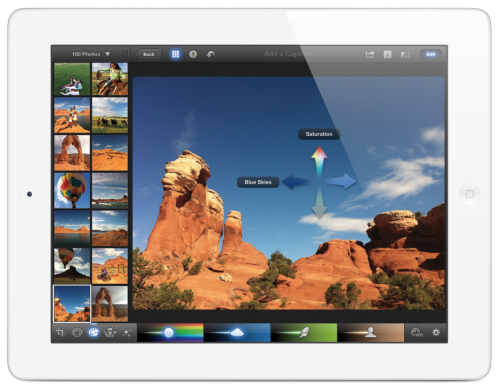 The maker of the popular Air Display iOS app Avatron, revealed today that it will update the app to fully support the new iPad. Air Display allows using your iPad, iPod touch or iPhone as an extra screen for your Windows or Mac computer. The video above shows how it works. The iPad acts a wireless additional monitor and OS X can work with it in the same manner as with any other display. 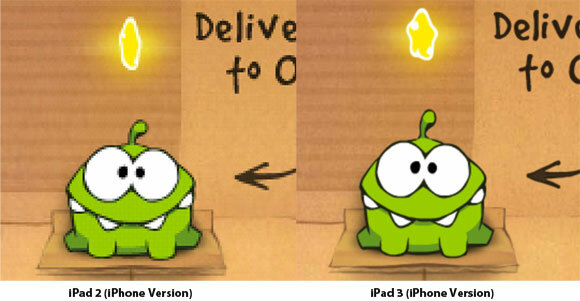 Yesterday we reported that the new iPad is running warmer that its predecessor. 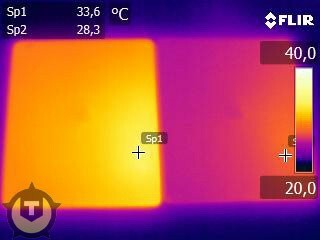 Repair Labs has conducted their own analysis and found that the A5X chip in the new device runs as much as 16 degrees Fahrenheit (about 9.5 degrees Celsius) warmer than the A5 chip in the iPad 2. According to a series of tests conducted by Repair Labs, the A5X chip registered temperatures up to 36 degrees celsius (96.8 degrees Fahrenheit), compared to A5 readings of 27 degrees C (80.6 degrees F). The experiment involved opening up the tablets in order to directly measure the temperatures of the chips. When the original iPad was released, there weren’t many apps available for the device. So Apple allowed apps developed for the iPhone’s smaller display to run on the iPad by using emulation. The apps could use only a fraction of the iPad’s display. 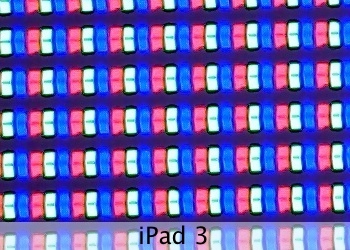 Alternatively, iPhone-specific apps could be run in a 2x mode, utilizing pixel doubling technique to fill the iPad’s display. However, in 2x mode text and artwork look pixilated and blocky. With the iPad 3 now available on the mass market, we are starting to see more benchmark tests comparing the iPad 3 to the iPad 2 and other handsets. Insanely Great Mac published nice video (showed above) comparing processor and graphics benchmarks between the original iPad, iPad 2 and new iPad. According to The Wall Street Journal, Sharp Corporation is still doing its best to start ramp up production of Retina displays for the new iPad. The company is expected to start shipments in the nearest feature. The panels are to be used in Apple Inc.'s new iPad, according to people familiar the matter. The first batch of the U.S. company's newest tablet, released Friday, were not equipped with Sharp's LCD panels after the Japanese company faced difficulty in customizing the screens according to Apple's requirements, one of the people said last week. Chpwn (Grant Paul) and Phoenixdev (Paul Griffin) have posted photos of an iPad 3 that was jailbroken using a third method! This has truly been an amazing day for jailbreaks. First iPhone Dev-Team posted photos of jailbroken iPad 3, later i0n1c posted a video using unique method. Now it seems that there is a third methid. Wow!! 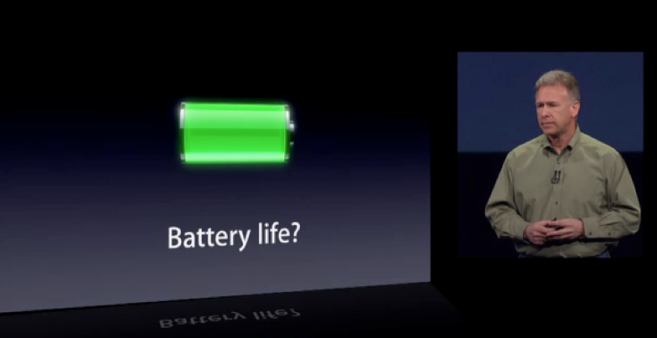 Stefan Esser, better known as i0n1c, just announced that he has successfully performed an untethered jailbreak of the iPad 3. Although the iPhone Dev-Team already announced their own jailbreak of the device earlier today, they did not specify whether their jailbreak was tethered or untethered. I0n1c's jailbreak will likely work on all iOS 5.1 devices including the iPhone 4S if its released. 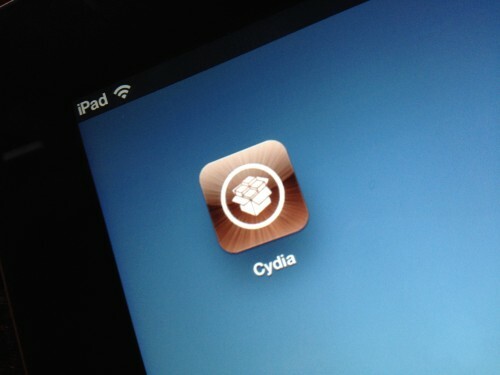 Earlier this week he posted images of a jailbroken iPad 2 on iOS 5.1. 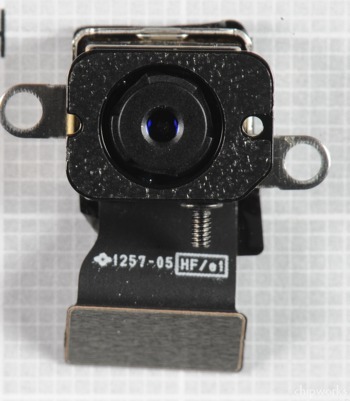 Lukas Mathis posted several images of the new iPad 3 Retina Display under a microscope. The photos were taken at approximately 80x magnification. The New iPad 3 Has Been Jailbroken! As usual it is unclear when public version will be available. Still great news!